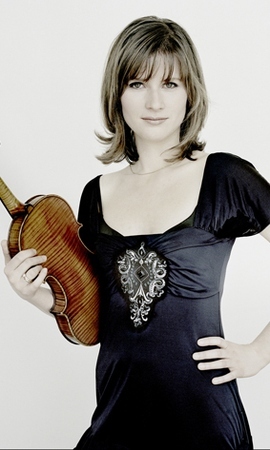 The New York Times: "The violinist Lisa Batiashvili was the terrific soloist in the Shostakovich concerto." New York Classical Review: "The always energetic Batiashvili brought a certain verve to the evening that, unfortunately, was not always reciprocated by the Philharmonic." The Plain Dealer: "Violinist Julia Fischer... was the driving force behind a stellar presentation of Brahms’ Violin Concerto." Violinist.com: "Hadelich's Beethoven was riveting and beautiful." Los Angeles Times: "His shaping of the opening passage startled with its silvery tone, pinpoint intonation and surprising turns of phrase — and there was not a note thereafter that was not thought out, characterized and beautifully projected." The Times-Picayune : "Gluzman negotiated the mood shifts and violent musical contrasts of Schnittke's 1984 composition with unwavering support from the Louisiana Philharmonic Orchestra and conductor Carlos Miguel Prieto." Examiner.com: "The internationally recognized young virtuoso masterfully captured the emotions of Mozart’s 'Turkish' violin concerto." The New York Times: "Mr. Zukerman offered technically solid and often highly expressive playing, especially in the second movement Larghetto." The Union-Tribune: "The emotional directness, the lack of pretension, the rare combination of ease and absolute conviction were all evident in his interpretation of the Beethoven Violin Concerto." Dallas Morning News: "Anne Akiko Meyers supplied a huge dynamic range, from blazing fortissimos to whispered hushes, and mostly impressive technical command." Dallas Observer: "On Saturday night Meyers made the Vieuxtemps (Guarneri del Gesu) sound as if it were built for Prokofiev's fiery emotionalism."